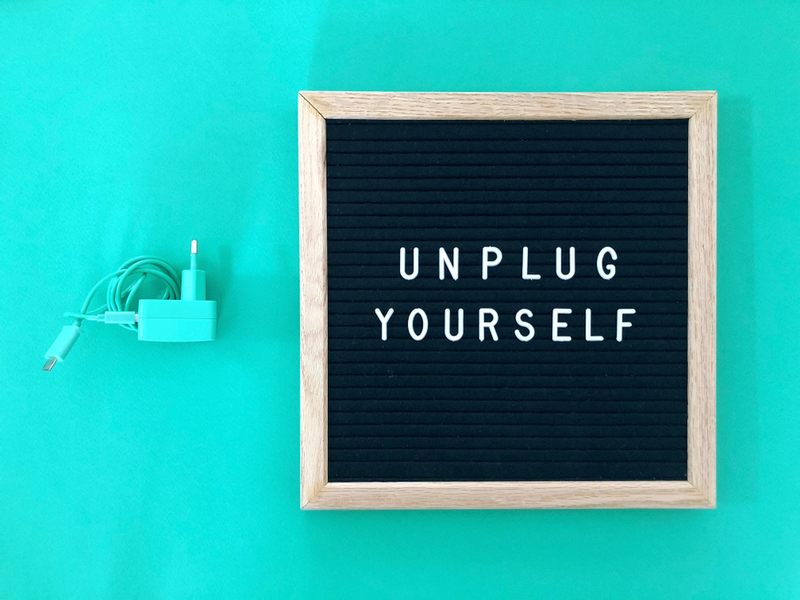 There are no quick fixes for work-related stress, but taking a day to recharge can be powerful for our mental well-being. At Thrive, for example, we offer Thrive Time: a half or whole day off to recover from a spurt of intense work, which doesn’t count toward vacation, sick time, or other paid time off. Thrive Time is meant to recharge us, so we can return re-energized and feeling creative and productive again. Whether your company offers a similar policy or more general paid time off, if we’re not mindful, a day off can slip by, and instead of feeling refreshed when we return to work, we feel regret for how we spent our time away. You’re not doing your mental health any favors if you spend the day anxious about what’s happening at work, or guilty about taking time for yourself, Beth Scarlett, a registered psychotherapist and co-founder of work-life blog Balancing Bravely, tells Thrive. If you’re prone to feeling guilty in general, Scarlett suggests treating yourself like you would a close friend, or a colleague you know is a hard worker. If you can imagine yourself encouraging them to take a day to relax and recharge, grant yourself the same courtesy. Setting up an out of office email that lists when you’ll be unreachable and who to contact in your absence can also help alleviate the stress of being away from work, Scarlett says. Imagine you’re a kid on a snow day. Would you be sitting at home, fretting about what’s happening in math class without you? Probably not. Kids are experts at being in the moment, Scarlett says, and adults would be wise to follow their example. “We focus on what we’re missing out on and who we’re letting down, whereas kids are searching for opportunities,” she explains. If we can tap into that childlike sense of curiosity and wonder — by visiting a new part of town or diving into a book or podcast that we wouldn’t normally seek out — we’ll experience a more fruitful and energizing day off. Yes, you read that right. On your day off, try spending at least 20 to 30 minutes doing “absolutely nothing,” Scarlett recommends. In our “always on” culture of doing, it’s vital to give your brain a true break from the things that usually occupy you. That means no social media, no television — even no reading. Just take a walk, or a long bath, and simply be. Removing distractions and sitting still actually sets the stage for bright ideas and epiphanies to bubble up in your brain (it’s part of the reason why so many people have eureka moments in the shower! ).